How to watch Indiana Jones and the Temple of Doom (1984) on Netflix Argentina! 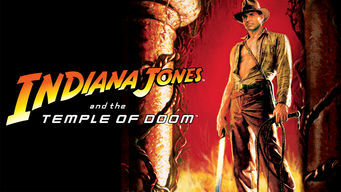 Yes, Indiana Jones and the Temple of Doom is now available on Argentine Netflix. It arrived for online streaming on October 7, 2017. We'll keep checking Netflix Argentina for Indiana Jones and the Temple of Doom, and this page will be updated with any changes. Indiana Jones, his young sidekick and a spoiled songbird get more than they bargained for when they go to India in search of a missing magical stone. They went looking for a sacred stone. They found a vicious pagan cult. Things went downhill from there.